Philip Atkins and Michael Johnson (eds. ), A Dodo at Oxford. The unreliable account of a student and his pet dodo (Oxgarth Press, 2010). 160 pp. ISBN 978 0 9534438 2 6. In the spring of 2008, a remarkable book turned up in the Oxfam bookshop in St Giles, Oxford. The small printed octavo volume was at first sight unassuming: its covers and some of its pages were missing, and a number of the remaining pages had been defaced or damaged. Beneath the non-existent covers, however, was the first volume of A Bird Considered, printed in 1695: a previously unknown work that is an account by an Oxford student of his experiences keeping a dodo as a pet. Or is it? The authors admit that no library catalogues have previously recorded the existence of A Bird Considered. Although they date its events with some confidence to 1683, various details in the narrative are inconsistent. The book’s imprint clams it is a product of Oxford University Press, but the Press’s archives have no trace of it. Even the author’s identity is anonymous, and the editors have not been able to identify a suitable candidate. Once you’ve read a few pages, though, the question of whether or not the narrative is true quickly loses importance. Instead you will be falling for the charm and warmth with which the unknown student tells his story. Unspecified circumstances – unclear due to the loss of some of the book’s pages – result in him being bequeathed a captive dodo by a dying Dutchman. Inspired by the burgeoning scientific movement going on around him in Oxford, and assisted by his friends Mr Flay and Mr Sawyer, the student resolves to study the dodo’s habits.Each month he carefully records its weight, height, and diet: ‘a frog, cobnuts, apples (many), crab apple, bread (any)’. He reproduces sketches of the dodo’s features, and tries to record the dodo’s call in musical notation. He conducts controlled experiments to test the dodo’s memory and its cognitive powers. Quickly, however, the author’s affection for the dodo grows, and so does the reader’s. Although it ‘makes a prodigeous mess about my Room’, and has a ‘payneful crye’, the student is won over by the dodo’s attachment to him: ‘he runs always to me as I am the one to feed him (and he is ever hungry)’. After the dodo is briefly stolen then retrieved after the student gives chase, it ‘was a sorry sight indeed, all a-quiver when we got him out of the sack’. Thankfully it recovers after the administration of French brandy. Sawyer then starts to keep a diary ‘supposedly written by the Bird himself; for example: Ate an Apple. Counted to one hundred. Courted a pigeon &c’. By the end of the book, the dodo’s intelligence and the bond he has developed with his master – and his master with him – are in no doubt. Meanwhile the book also reveals incidental details about the social history of Oxford in the 1680s. The author struggles to pay his rent and clashes with his landlord (placated by the offer of the dodo’s dung for his vegetable garden). He nurses an artist friend, Mr Tompkyns, and goes to see the apothecary and a wisewoman. He goes on an unsuccessful trip to visit Elias Ashmole, and attends the visit to Oxford by the Duke of York (the future James II). He also records impressions of other Oxford figures. Particularly intriguing are a series of dreams related by Flay, which bear comparisons with the wilder prophecies and revelations that were commonplace thirty years beforehand. A close study will reveal certain parallels with other periods, too. Interleaved with the text, which is reproduced in facsimile at 100% scale, are a series of editorial annotations. Some of these deal with the provenance and reliability of the text, but most provide glosses and context on the book’s events. Collectively these form a wonderful kind of late-seventeenth century miscellany, covering not just contemporary Oxford but a wide range of other subjects. 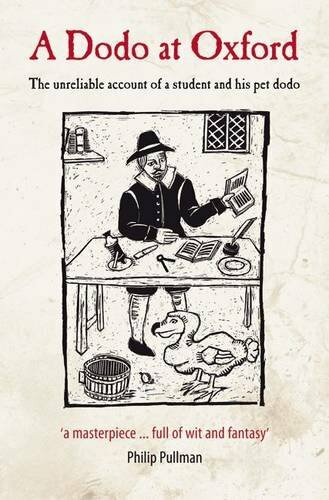 If you didn’t know about Charles II’s ostriches, early shorthand, or Dwarf Gibson then you will after reading this book. Like all the best footnotes, many of the annotations are improved through their quiet but dry wit, particularly the comments on the book’s proofs that have unaccountably crept into the finished version. And beyond the text and its footnotes, A Dodo at Oxford is also a modest yet sophisticated meditation about the nature of the seventeenth-century book. This is not a straightforward facsimile of a uniform text. Printed annotations mingle with scribbled notes and graffiti in the margins. Authorial voices are inconsistent: the editors’ commentary has to compete with ephemera left in the book by previous owners, a child’s crayon drawings, and a marginal game of noughts and crosses. Newspaper cuttings, fragments from other texts, pictures, printed ephemera, and even a squashed spider are pressed into the pages in the manner of a commonplace book. All this combines to create a confusing and disorientating experience, which gestures at the fact that our own concept of “the book” was not necessarily the same as that held by early modern readers. There are also a series of detailed appendices for readers who want an explanation of the differences between twenty-first century and seventeenth century books. These explain bibliographical issues such as ligatures, page signatures, kerning, and the long S. They also tell the story of the typefaces and printer’s ornaments used in the book: a wonderful reproduction of the Fell Types commissioned by John Fell for the Oxford University Press. Reproductions of contemporary maps of Oxford are also provided to further orientate the reader.